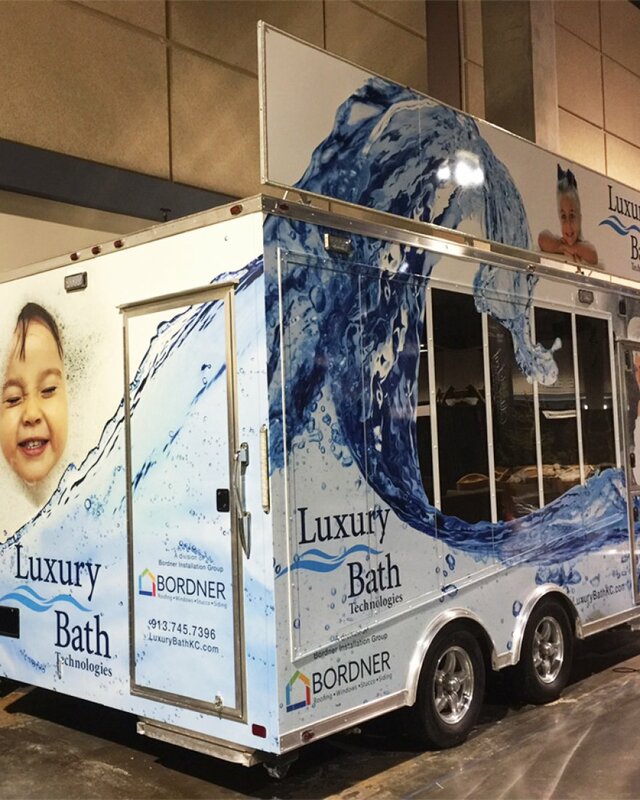 Trailer wraps are designed to help give your trailer a fresh new look that enhances the overall appearance of your vehicle. Trailers are often used to lug around machinery from location to location, but that doesn’t mean they shouldn’t look good while they’re doing the heavy lifting. Allow the experts at Wrap It Up to help you pick a trailer wrap solution for your needs! Whether you’re looking to fix up a service trailer or personal one, we have the experience you need to get the professional service you require. Our team knows that it takes time, attention to detail, and years of experience to meet our high standards. Because of this, you’ll have your trailer wrap complete and installed in a time-frame that meets your deadlines so you can get your newly updated trailer where it belongs most: the road. When you need a trailer wrap that is unique to your needs, allow us to help. We value our customers’ satisfaction and are prepared to take the measures needed to get you there. For additional inquiries, call (913) 948-7752. Also be sure to check out our free quote builder tool used to get you an estimate in no time.